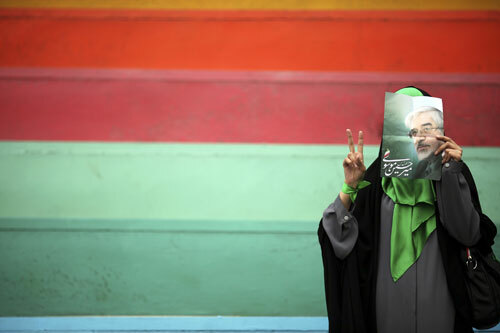 Images that capture history in the making from Iran’s recent election and its fallout. 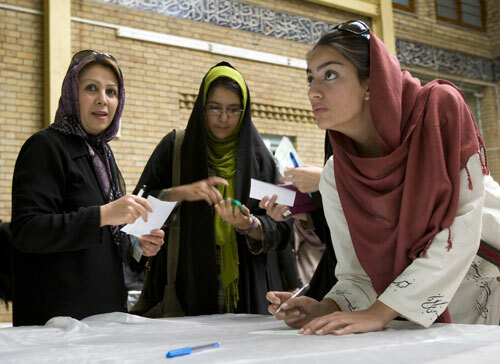 As Iranians hit the streets on June 8 to express their preferences in the upcoming presidential elections, The Nation‘s Robert Dreyfuss captures the spirit and tension of the people. 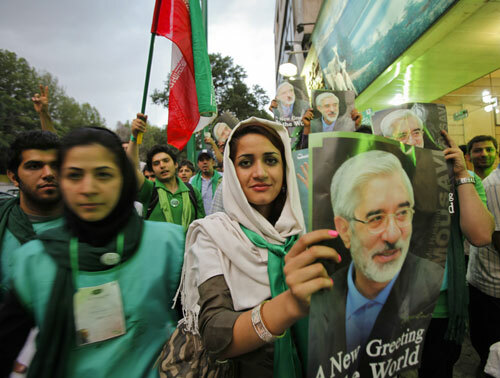 In his first dispatch, Dreyfuss describes the enthusiastic “ green wave” backing reform candidate Mir Hossein Mousavi in opposition to incumbent Mahmoud Ahmadinejad. 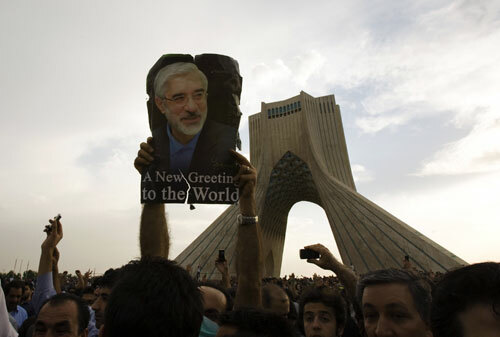 On election day, June 12, Dreyfuss writes, “I went off in search of Ahmadinejad voters today in Tehran. 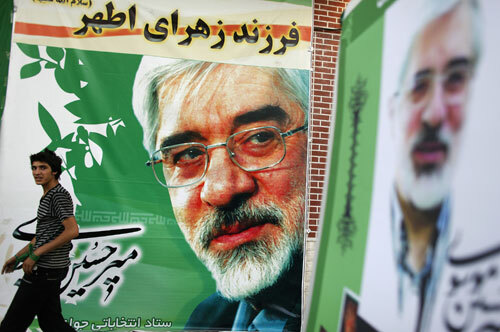 They are not easy to find.” The majority of those he interviews–men and women, old and young–support Mousavi. Foreign policy is at the center of the electoral debate. 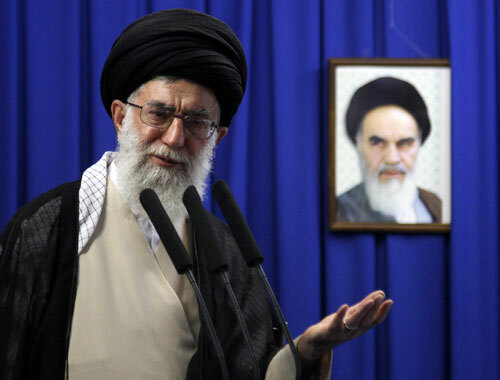 As President Barack Obama avoids directly addressing the nuclear issue with Iran and supports direct diplomatic dialogue, influential Iranian leaders and former officials stress the importance of doing business with Ayotollah Ali Khamenei, the Supreme Leader. 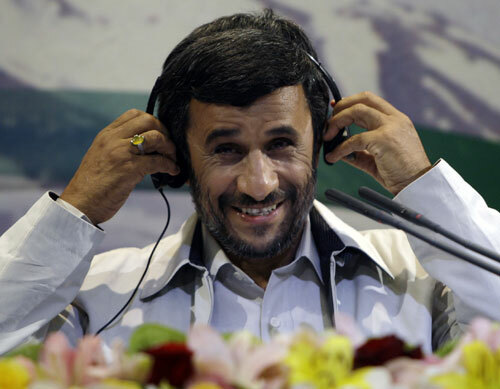 Before the polls even close the Iranian government declares Ahmadinejad the victor by a suspiciously large margin. 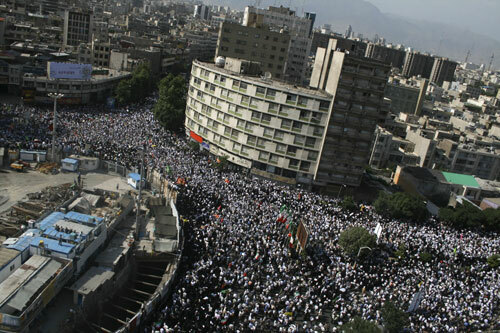 There are immediate accusations of election fraud; thousands of Iranians flood the streets to express their dismay. 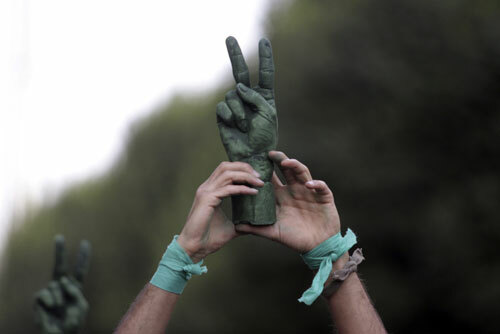 Anger over the election fuels the largest protests Iran has seen in thirty years. 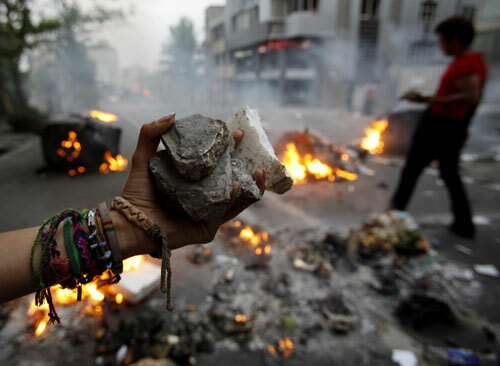 As authorities block foreign reporters from covering the protests, news trickles out via blog posts, tweets and video from cell phones posted on Twitter and YouTube. The fallout over the election puts the United States in a complicated position. Regime change would be welcome. But it’s up to Iranians, not Americans to make it happen. 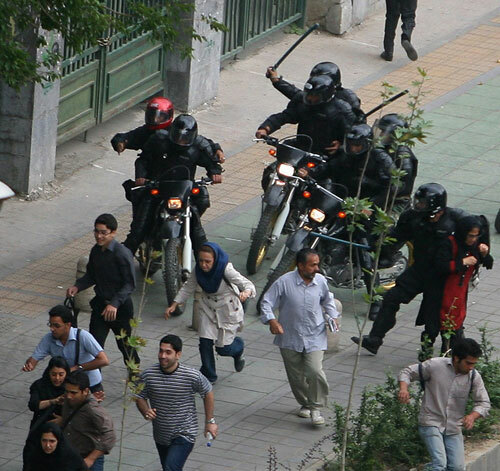 The Iranian government bars all foreign journalists from the streets of Tehran in a move that gives the security forces more freedom to crush dissent. 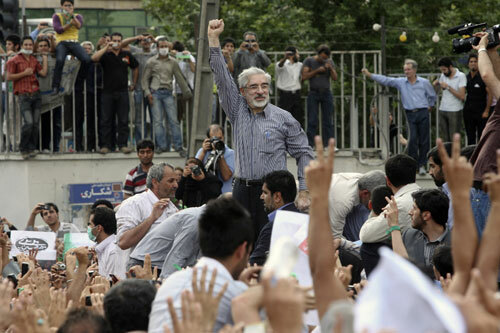 Mousavi makes his first post-election public appearance at a rally with supporters in Tehran on June 15. 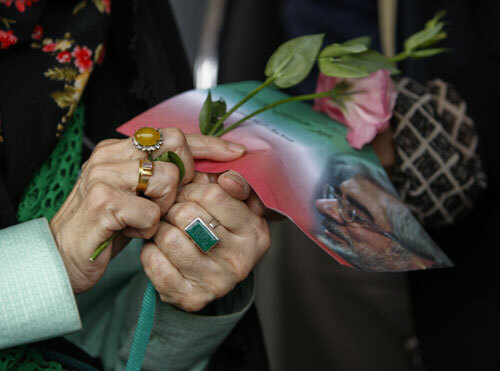 Under pressure from the public and the international community, Iran’s Supreme Leader, Ayotollah Khamenei, tentatively backs a partial recount of the election results and top cleric, Grand Ayatollah Hossein Ali Montazeri, denounces the results altogether. 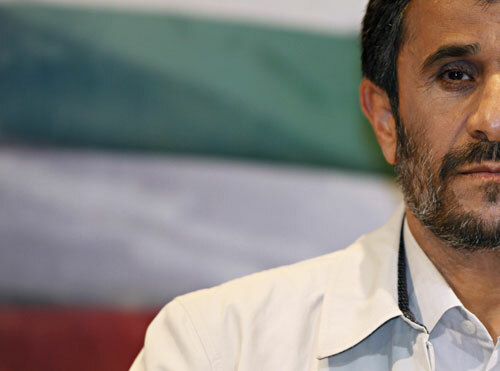 Recount or no recount, if Ahmadinejad manages to remain in power it will pose a major setback for reform and a significant challenge for Obama. 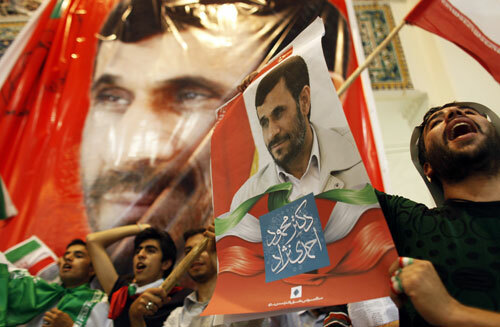 Iran’s power structure has been upended by a broad coalition of reformists challenging hardliners and militia loyal to Ahmadinejad. It is still unclear whose values will prevail. Khamenei declares the presidential campaign finished. 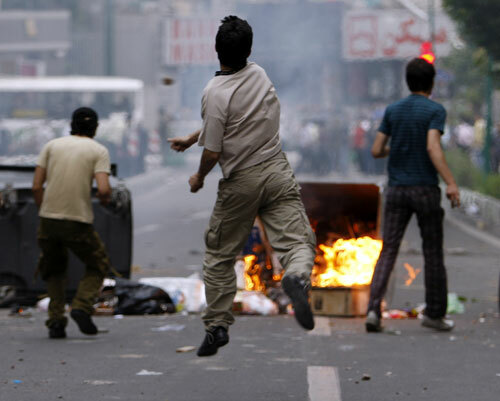 But for reformists braced for more confrontations, there’s no backing down. 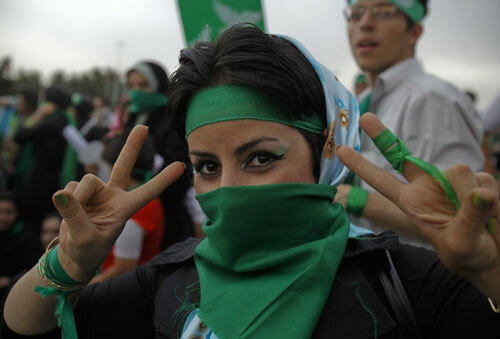 Neda Agha-Soltan, shot dead on June 20 while protesting the election, has become a tragic icon of the new Iran–and an emblem of how much women have lost in the thirty years of the Islamic Republic. 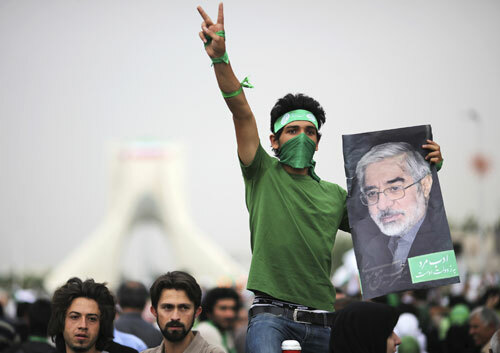 Despite the crackdown in Iran, Obama insists he’s still ready to negotiate, if Iran is.